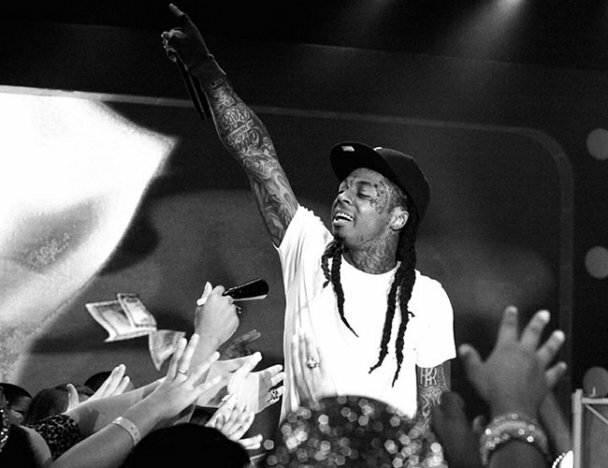 Lil Wayne has made history this week landing his 100th entry on the Billboard charts. He’s earned this spot within his 13 year career, sheesh!!! Lil Wayne joins the likes of those such as Elvis Presley (108), Jay-Z (108), but none of have topped the late artist James Brown’s 200 entries. No matter how you feel about his clothing decisions, drug habits, lyricism, kissing partners you have to respect the mans hustle and congratulate him.